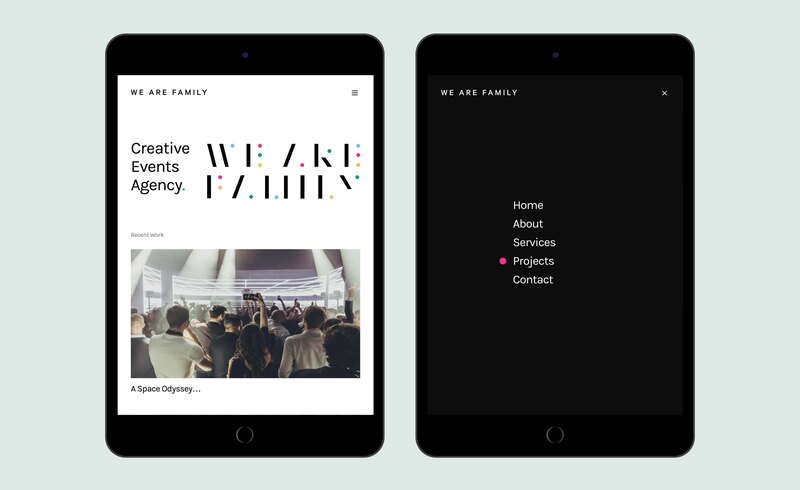 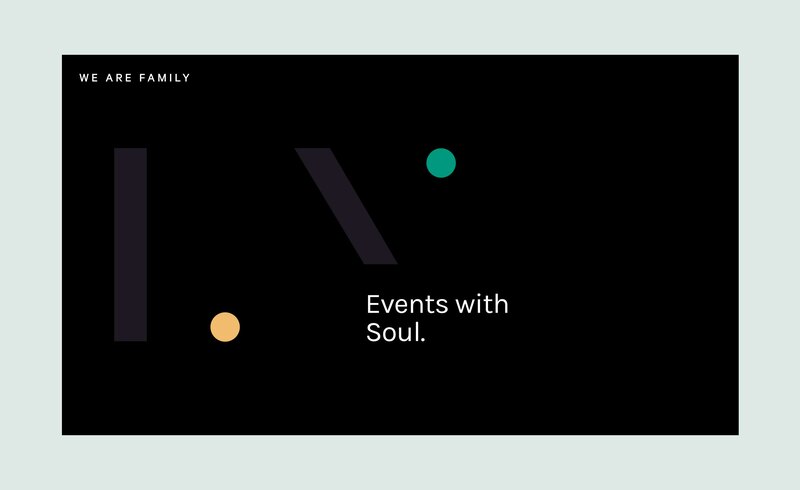 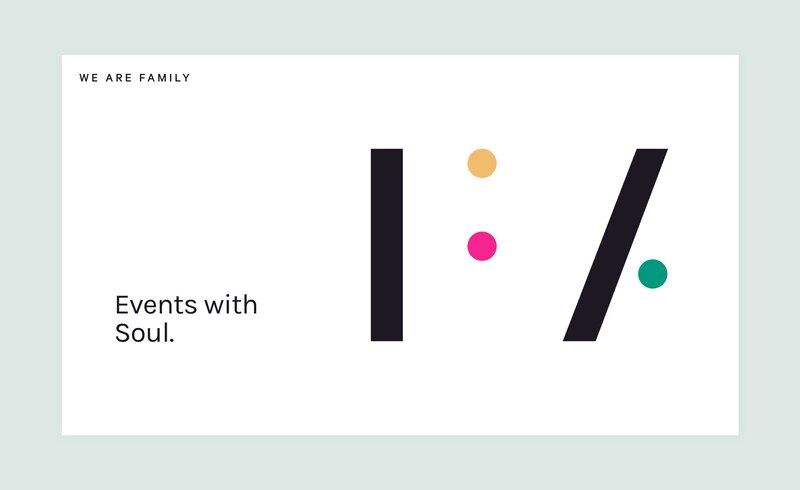 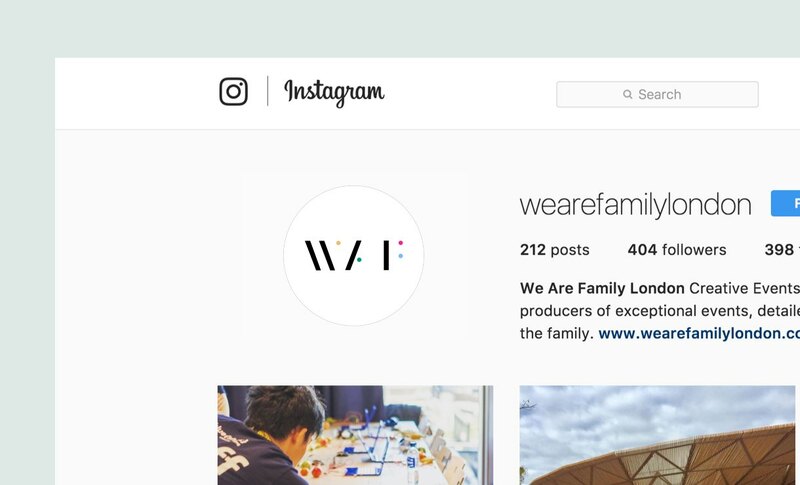 The brief was to create a new digital identity for creative events company We Are Family. 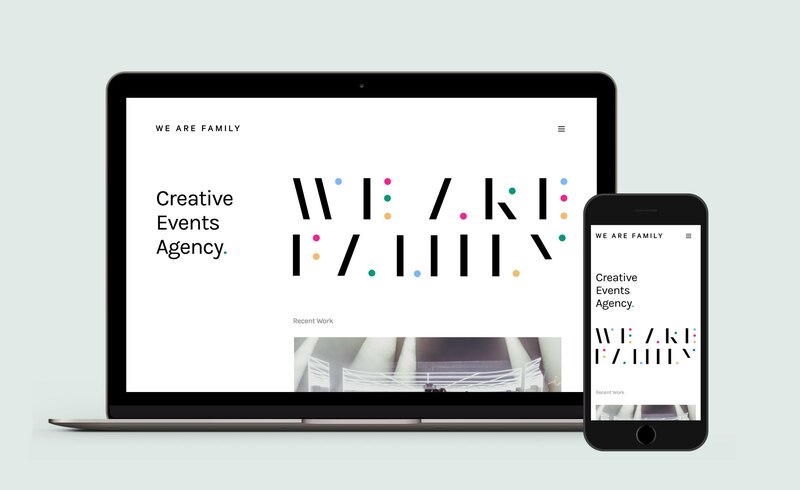 Having an abundance of great events and experiences in their portfolio meant that the brand needed to be clean and minimal to compliment the vibrant, colourful work. 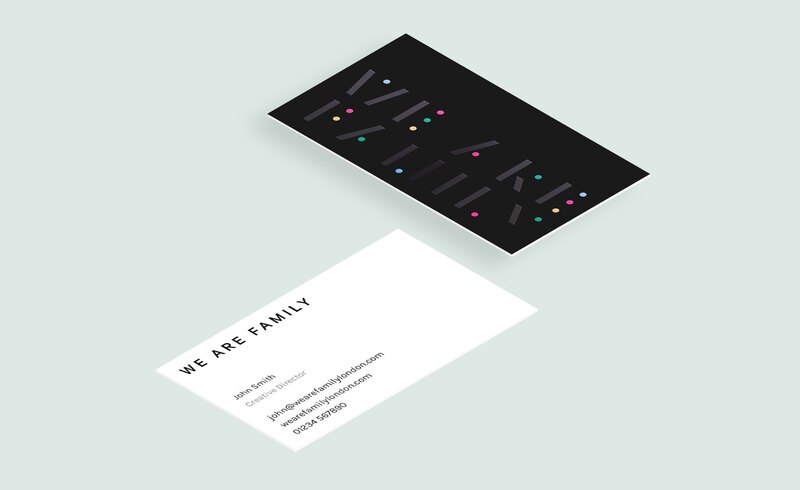 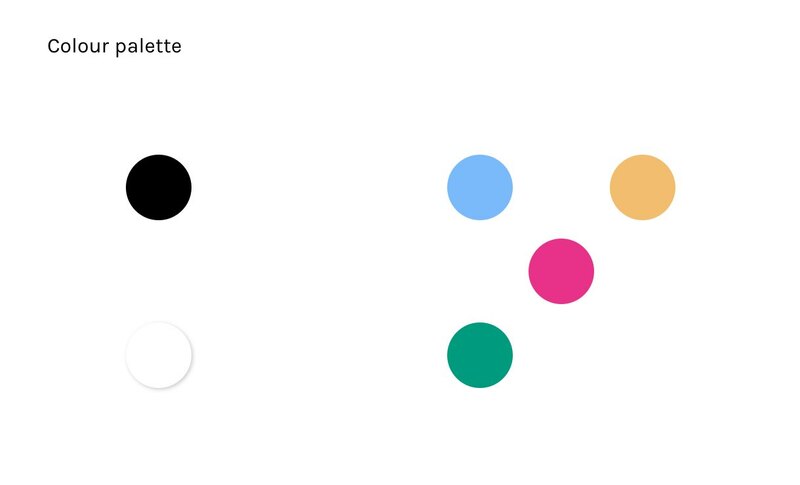 The aim was to create an identity that was simple and timeless, yet conveyed the playful nature of the company. 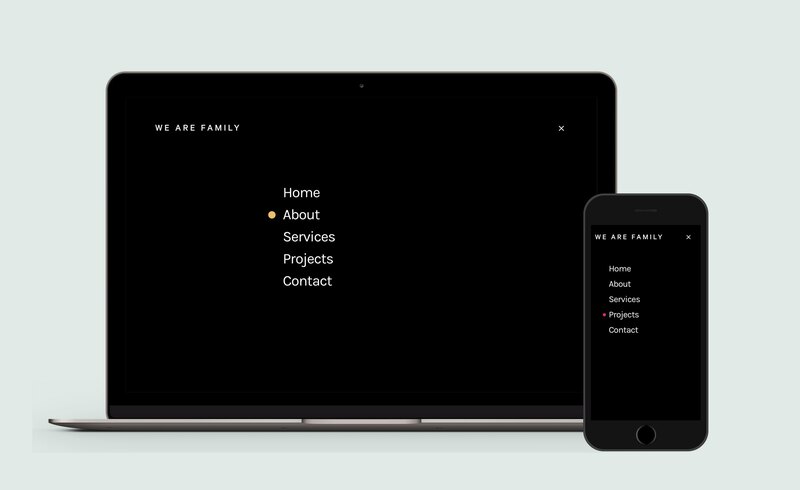 Working in-house with the team was key, enabling ideas and concepts to evolve in a collaborative, agile way. 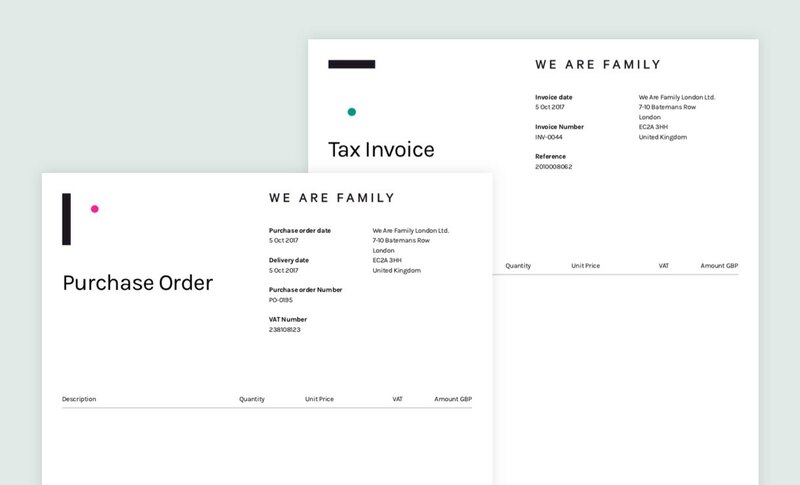 The approach was to generate the identity from typographic forms. 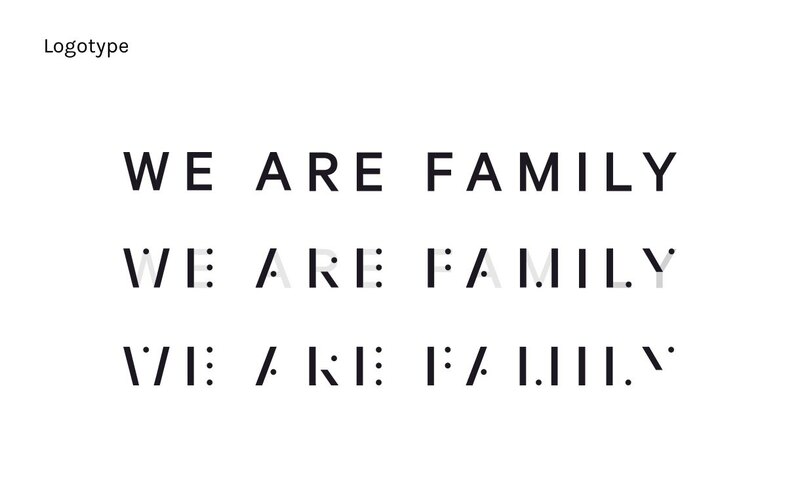 Setting out the type and reducing it to a series of abstract blocks and dots that hinted at the words allowed an interesting and unique branded language to evolve. 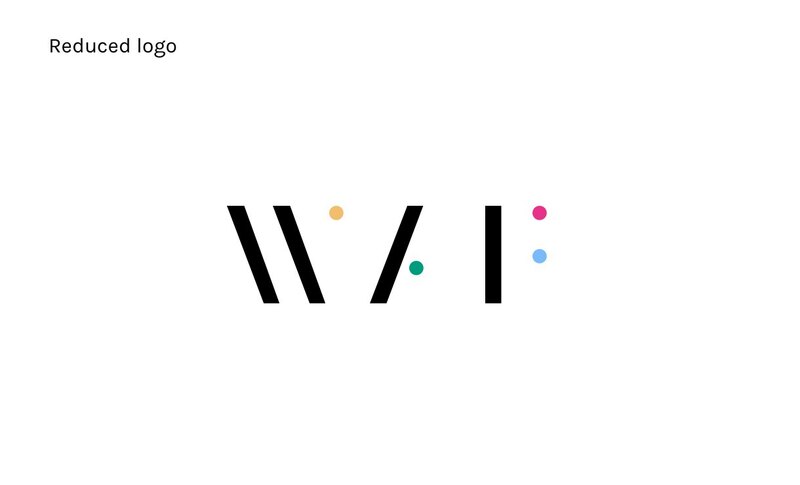 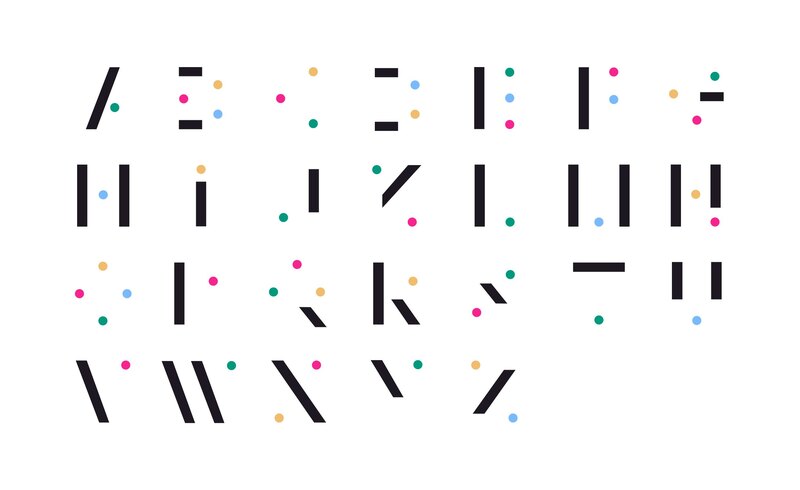 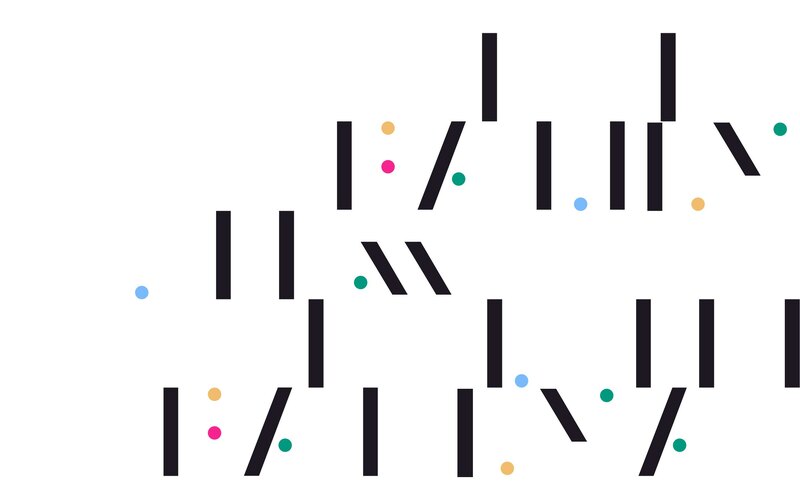 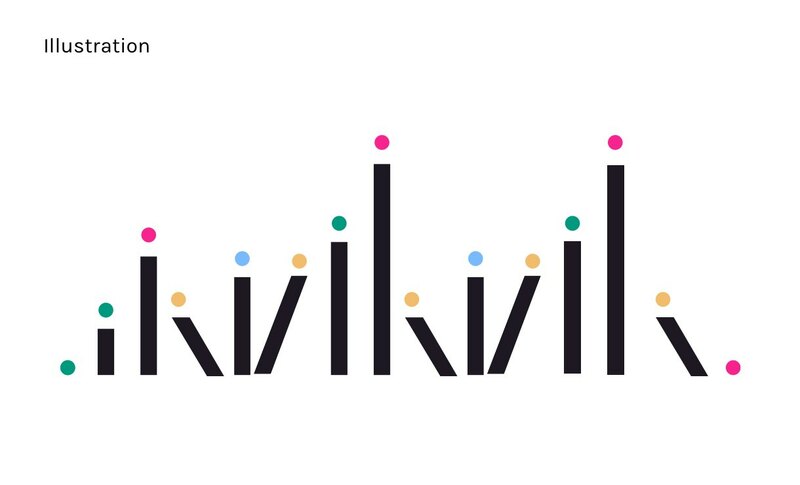 The logo itself was a simple uppercase word mark, and the system of dots and blocks supported the identity and added colour and expression. 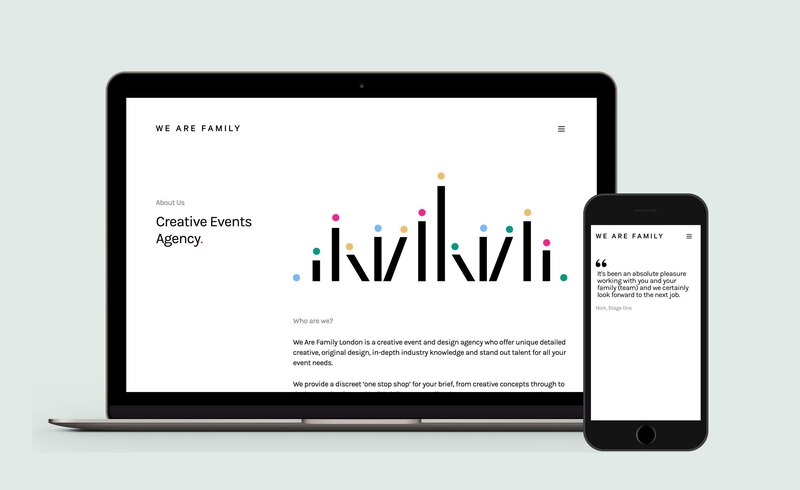 After testing the brand across a series of touchpoints like business cards, presentation templates and posters and animated elements, a series of wireframes were created for the website using a clean, spacious grid. 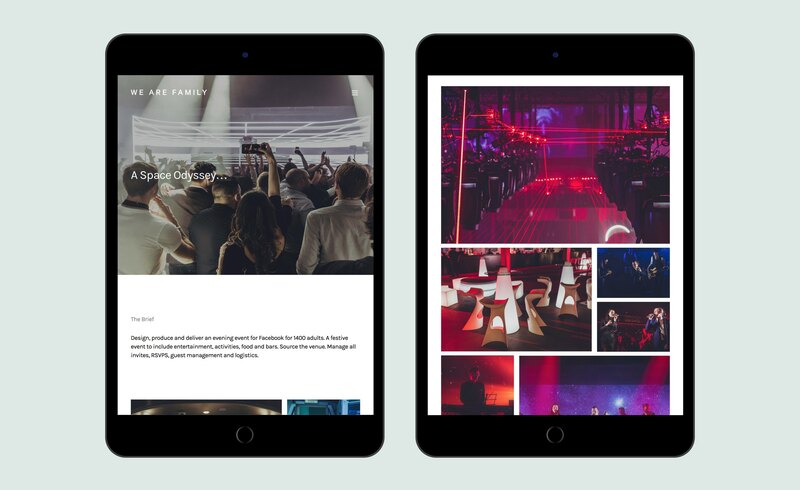 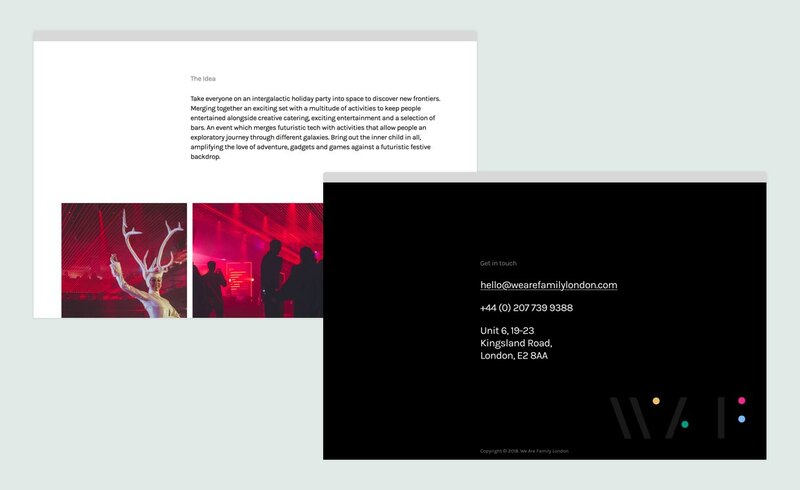 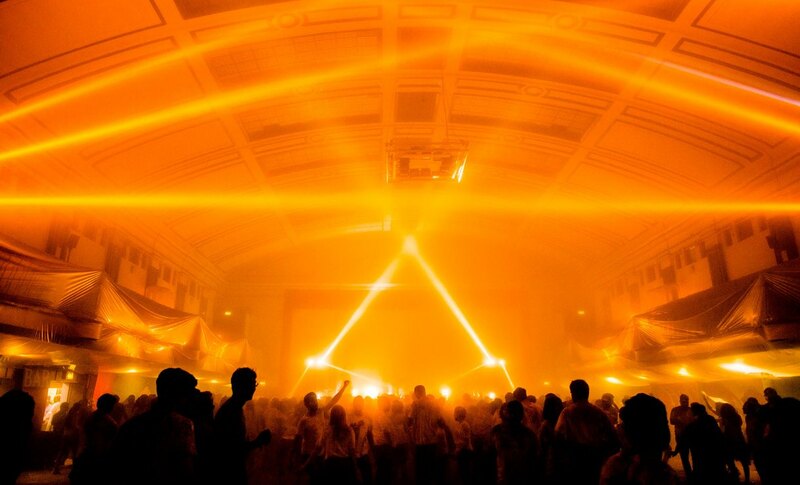 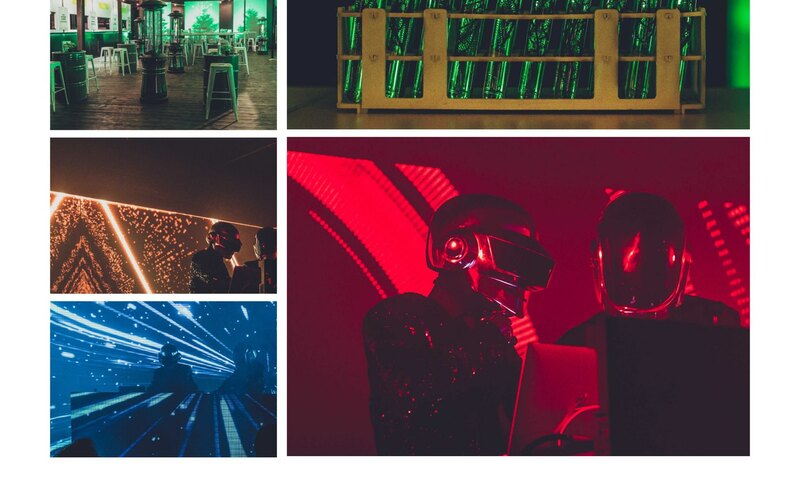 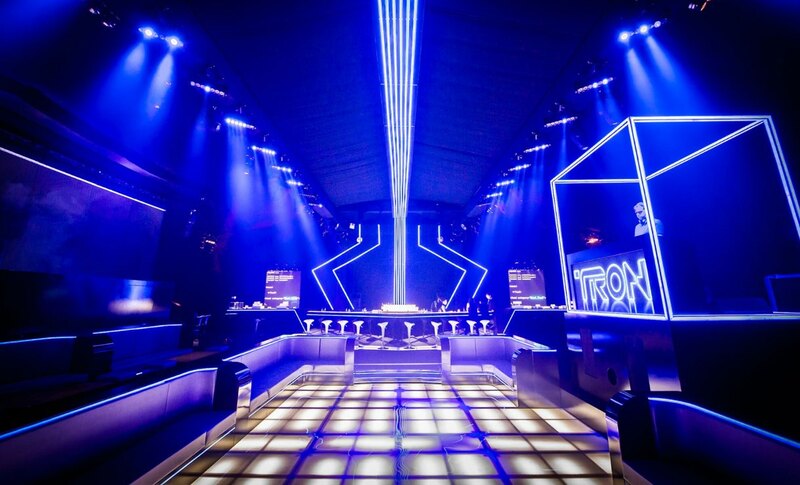 The brand manifested itself best online through their website, resulting in a flexible and unique online identity that represented We Are Family as one of London’s leading events company. 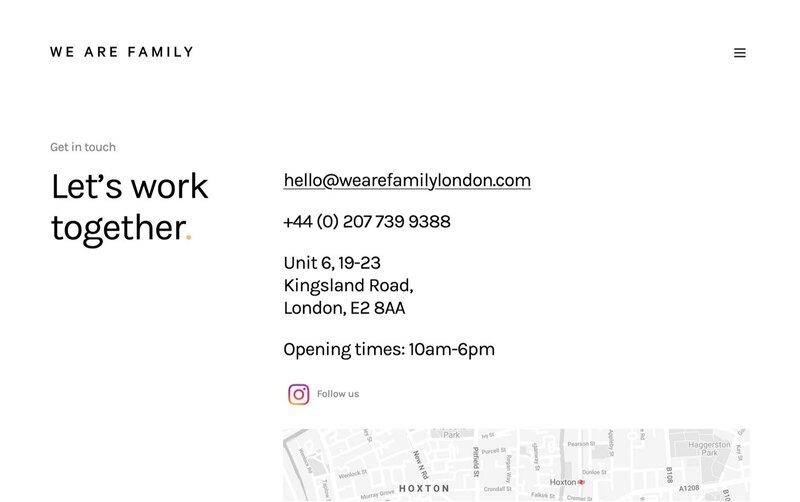 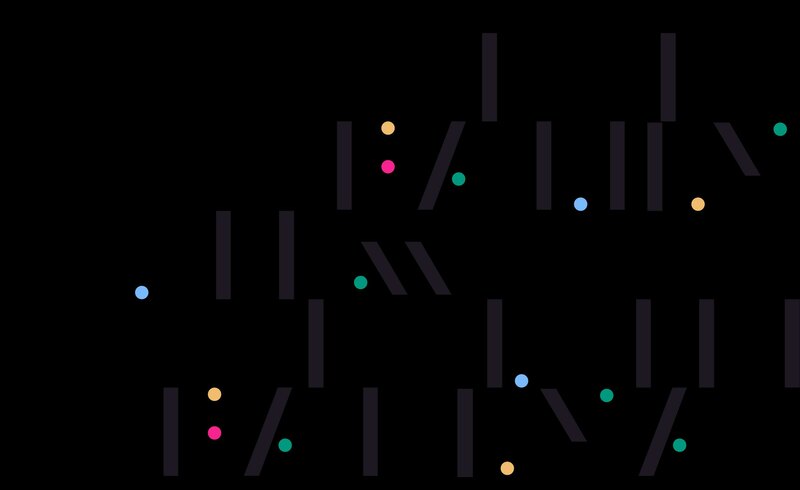 Projects used large photography grids, showing the attention to detail that goes into each event, complimented with a playful yet refined brand feel through animated typography and smooth transitions. 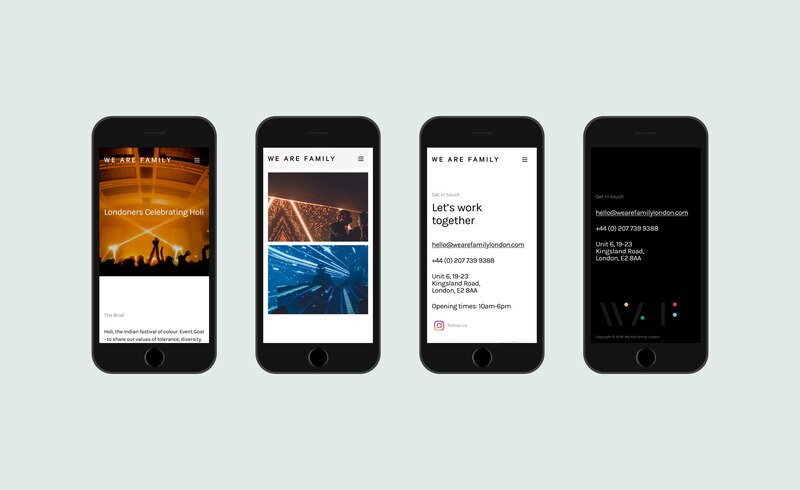 Additionally a small brand book was created to bring all the elements together in a clear, concise story form that set a solid framework for the future.